A fresh symbiosis of sweet, fruity and floral aromas stands out from my glass. Freshly squeezed lemon juice, cereals, mineral aromas and beautiful vanilla notes are additionally supported by light fruits, which easily drift off into the tropical spectrum. Pears, apricots, sugared pineapple, mangoes and a hint of blossom honey are perceptible. Hidden deep in the background is a tender smoke flag, which reminds me a little bit of cigar or pipe smoke. The alcohol (47.2%) makes itself felt very easily in the nose at first. Very creamy and intense. A wonderful sweetness runs down the cheeks, while on the tip of the tongue a delicate Pfeffrigkeit sets in and causes a slight tingle. Plenty of vanilla, citrus fruits, grains, unripe oranges, pineapple, mangoes and coconuts give the malt an enormous freshness and a sweet-tropical fruitiness. 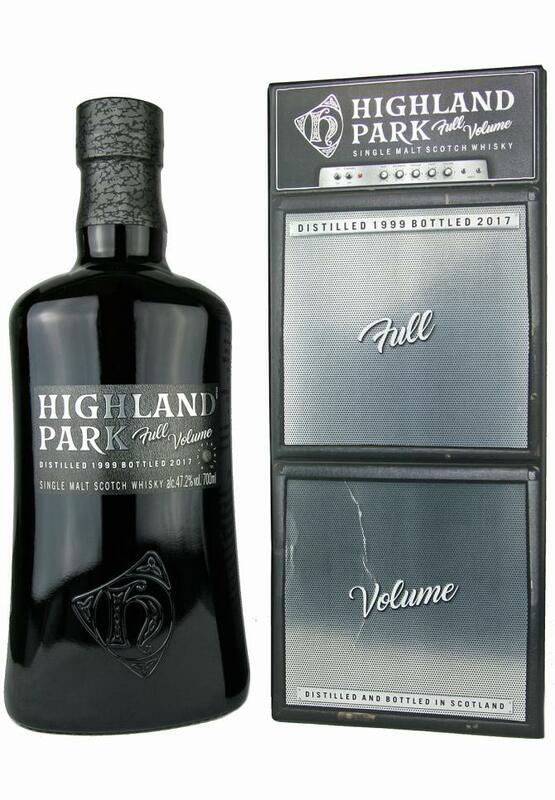 The alcohol content fits perfectly in terms of taste, the harmony and balance of the Highland Park is simply very good. The variety of flavors also gains in depth: mineral notes, hints of herbs, pleasant oak and fine cigar smoke set in the background a nice contrast to the sweet fruit. Medium long, sweet-spicy and warm. Slightly peppery and with many bright fruits, the well-balanced finish starts. Again I find citrus fruits, apricots, vanilla and mineral notes. The beautiful cigar smoke gains a little strength, but remains more in the background. Herbs and spicy oak let the malt slowly fade away and leave a minimal bitterness on the palate. 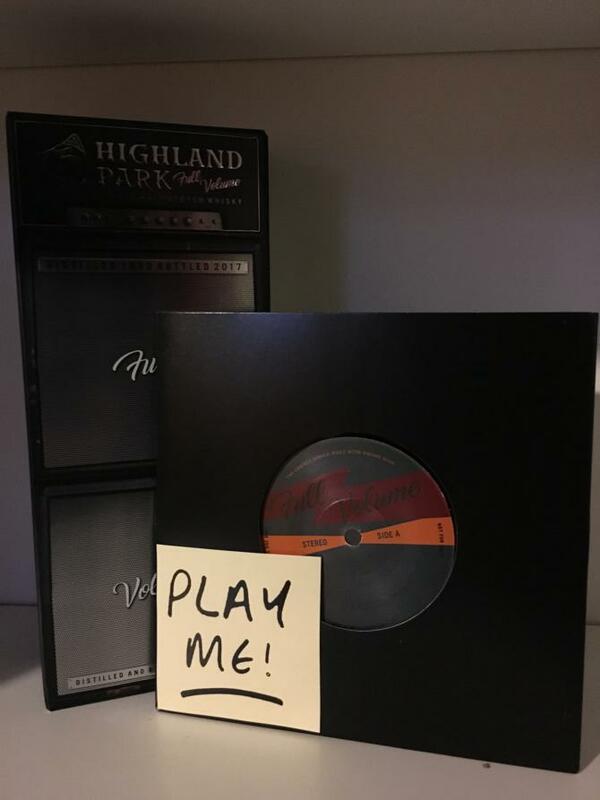 A very beautiful highland park. With the character, they should simply bet on bourbon barrels much more often. 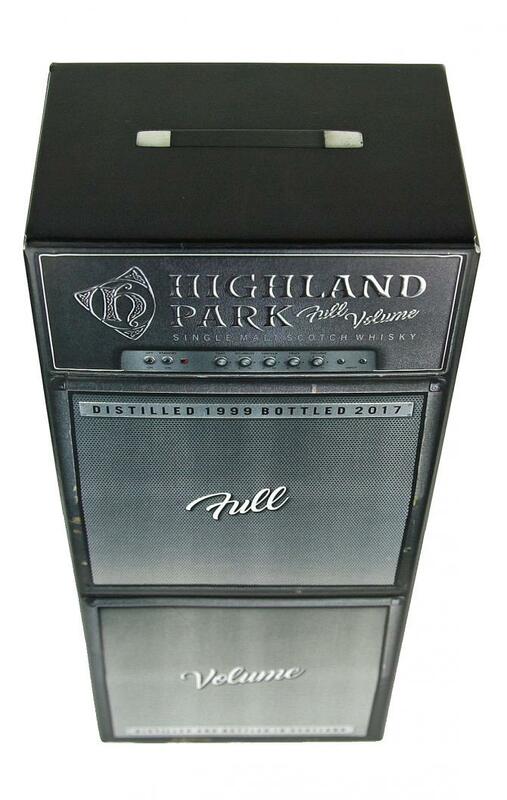 For musicians, amps and equalisers maintain critical balance at high volume by finetuning musical frequencies – at Highland Park, our Master Whisky Maker, Gordon Motion, does a similar job. FULL VOLUME was created using 100% ex-bourbon casks rather than our traditional sherryseasoned ones. During 1999, a combination of 481 casks – 200 litre barrels and 250 litre hogsheads – were filled at strengths of between 63.6% and 63.7%. 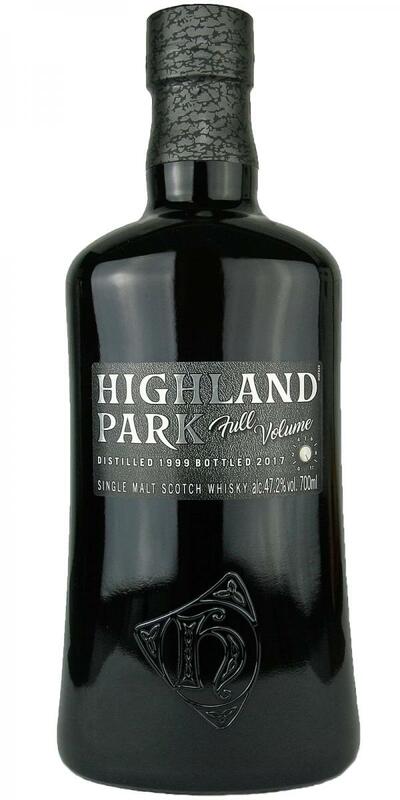 The whisky was filtered at just over 4 C and delivers flavours of creamy vanilla and sweet citrus fruits from the bourbon casks, balanced by Highland Park’s characteristic aromatic smokiness. I like this one a lot and I'd almost give it an extra point for the Spinal Tap reference on the box. Just a pity that an edition with this name isn't bottled at cask strength. Apple juice, peach, white wine, pineapple, vanilla and peat. Peach, apple juice, peat, vanilla and wine gum. Apple, peach, peat, cookie and wine gum. Interesting, unusual HP flavors without sherry with a massive oak and spices. Hard to scoring, must be retaste. 86/87. Tropical fruits, orange peel, vanilla and cereal. Touch of peat, tobacco and antique leather. Sweet, creamy, oily start. Honey, vanilla, malt and fruits. Then big oak, pepper and herbals. Medium length, fruity, spicy. Mild smoke.